Don't miss this amazing opportunity to own one of the most unique properties in the city with a one year home warranty included! 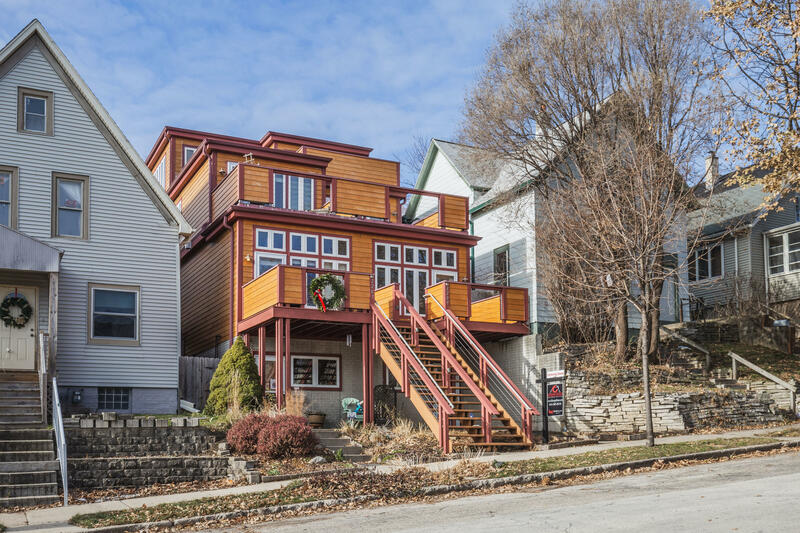 This contemporary townhouse-style condo is located in the heart of the action, just steps away from the Riverwalk, Brady Street, North Avenue and Kadish Park. Over 2500 square feet including four levels each with their own balcony vantage point of the city. You've never seen Milwaukee like this before! You'll be stunned by the beamed ceilings, stainless appliances, hardwood floors and concrete counter-tops! Even your vehicle will stay warm and dry through the winter in your private attached garage! Easy to show!